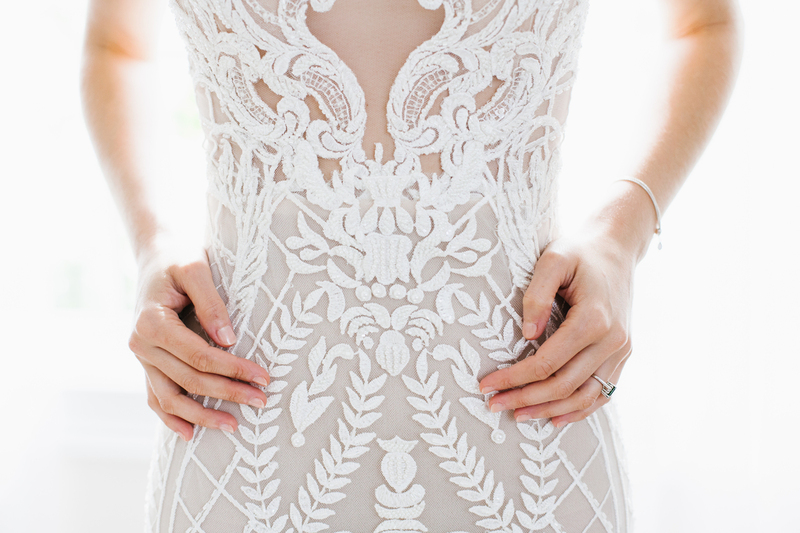 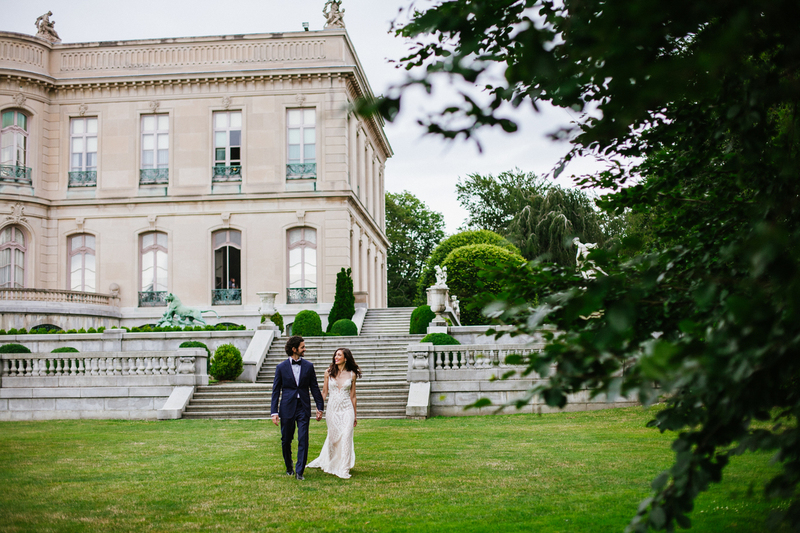 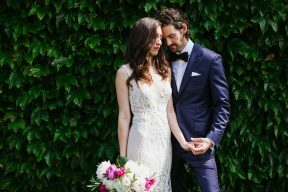 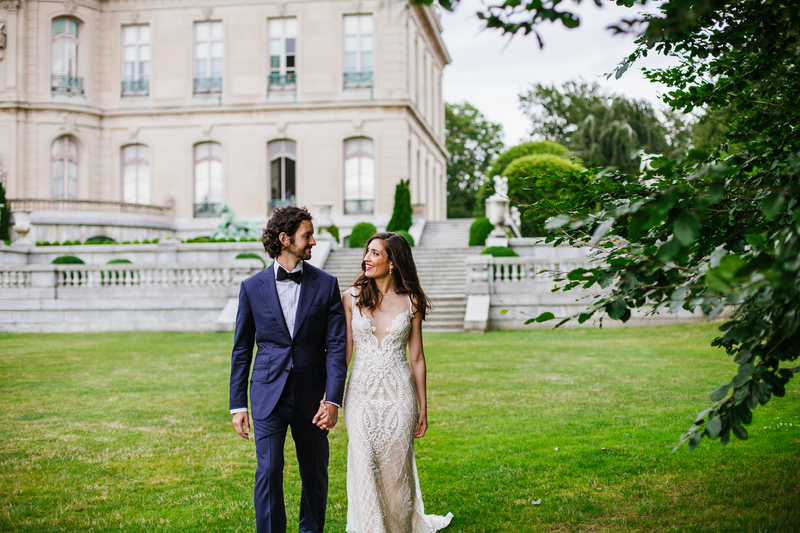 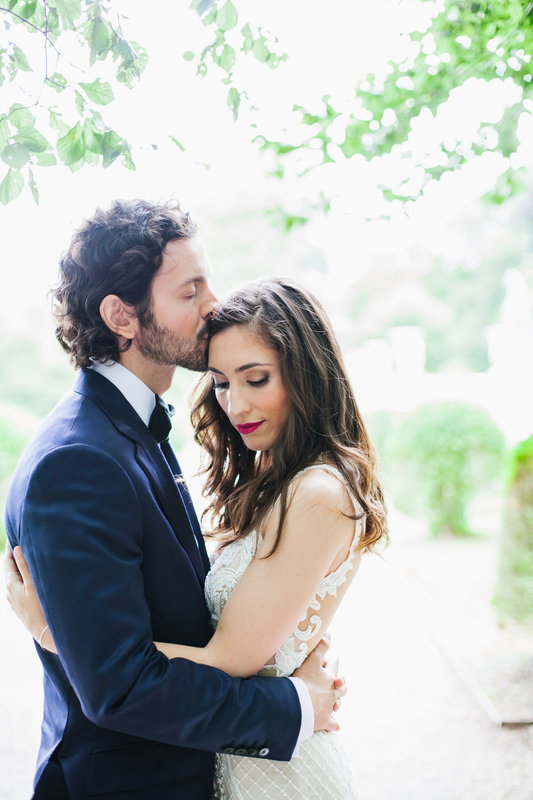 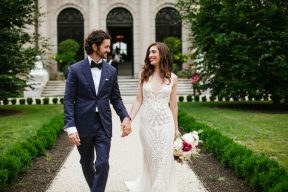 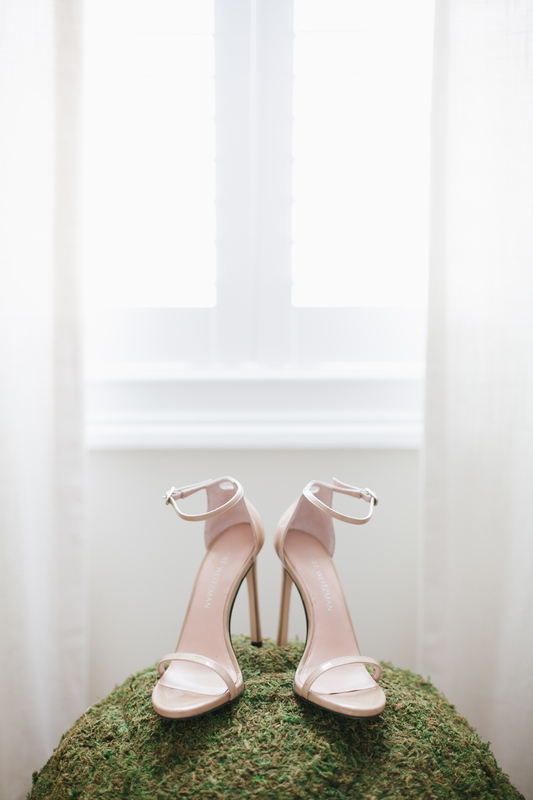 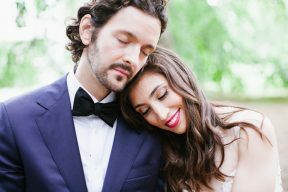 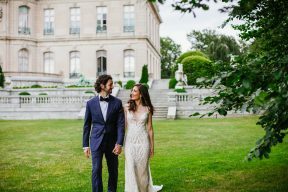 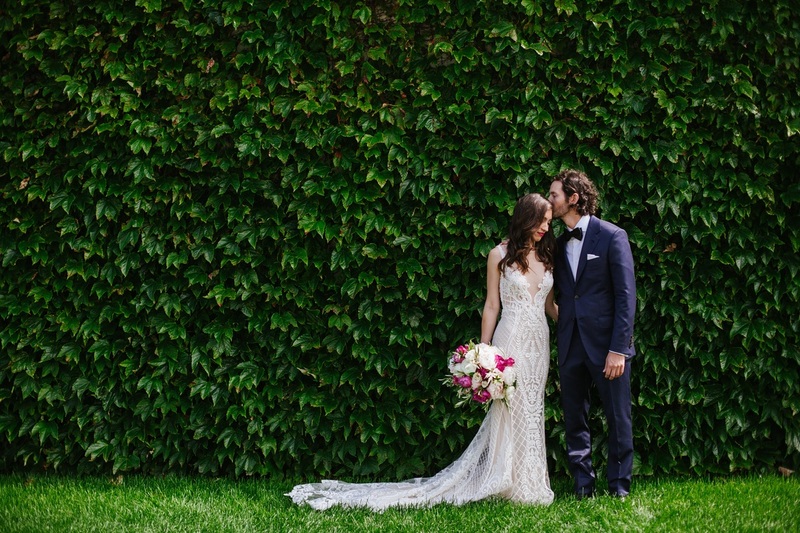 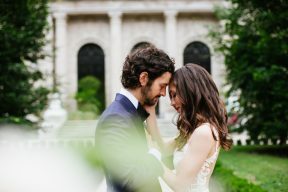 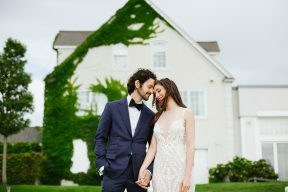 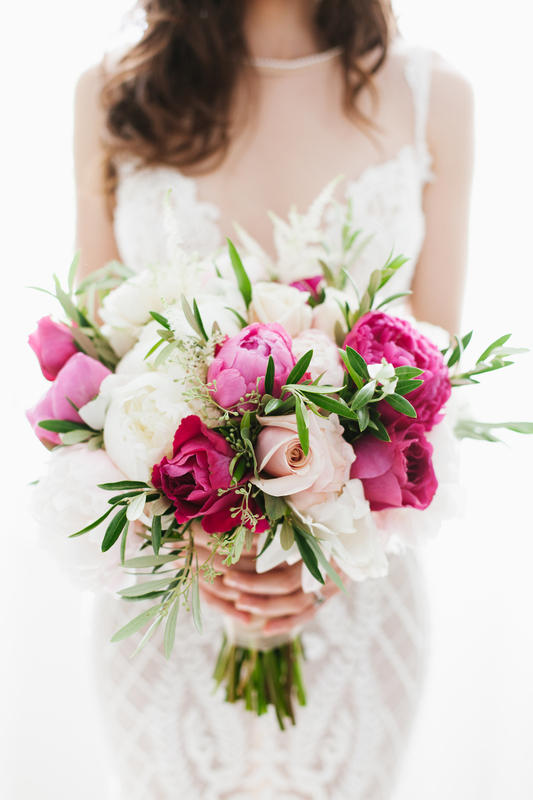 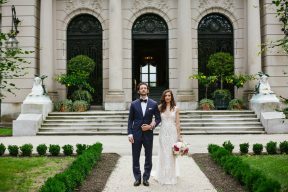 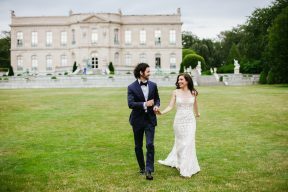 Daniela and Evan started dating after high school and today we are delighted to share their beautiful wedding at the elegant Belle Mer Water Salon in Newport, Rhode Island. 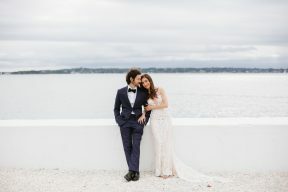 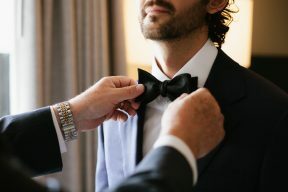 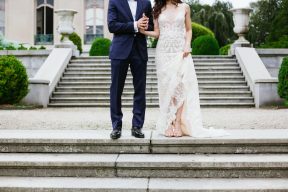 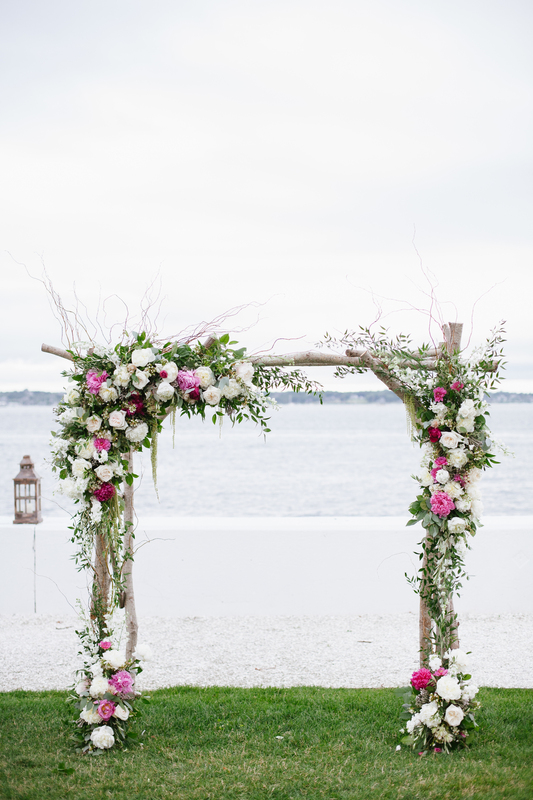 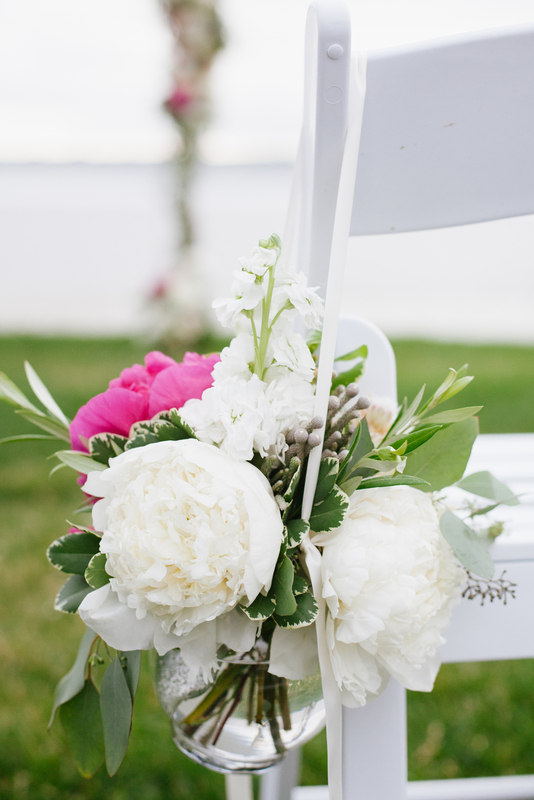 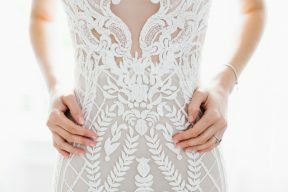 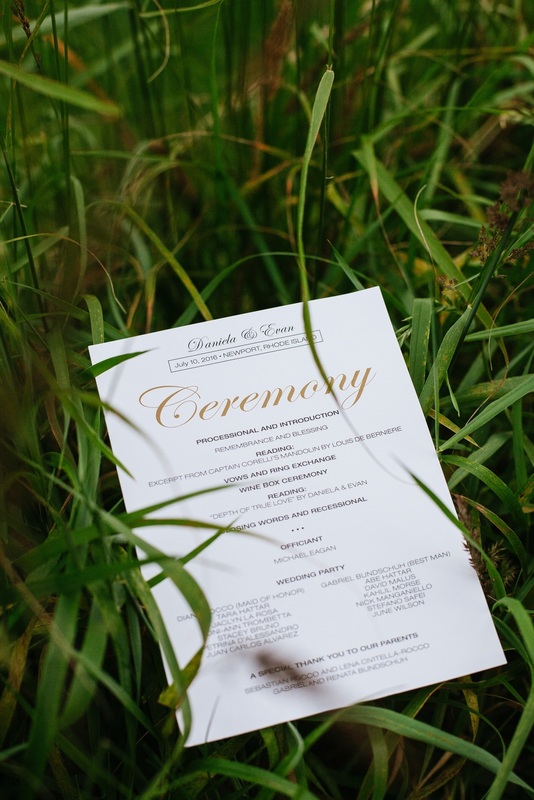 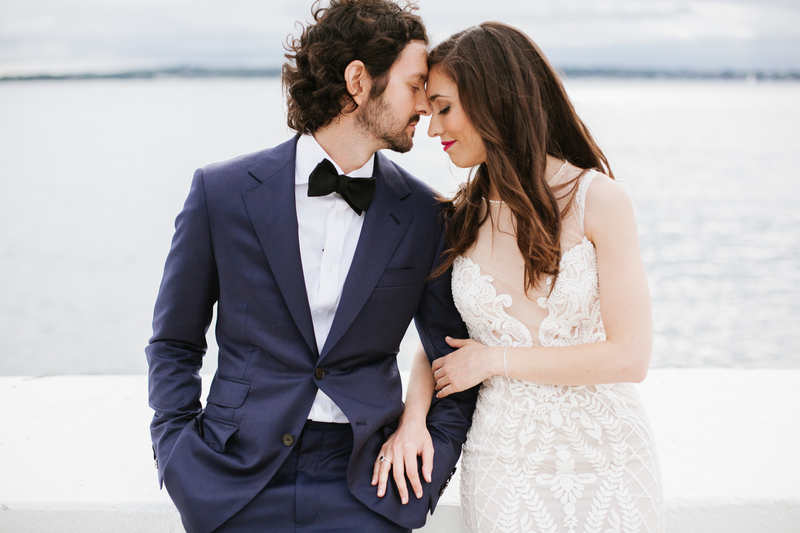 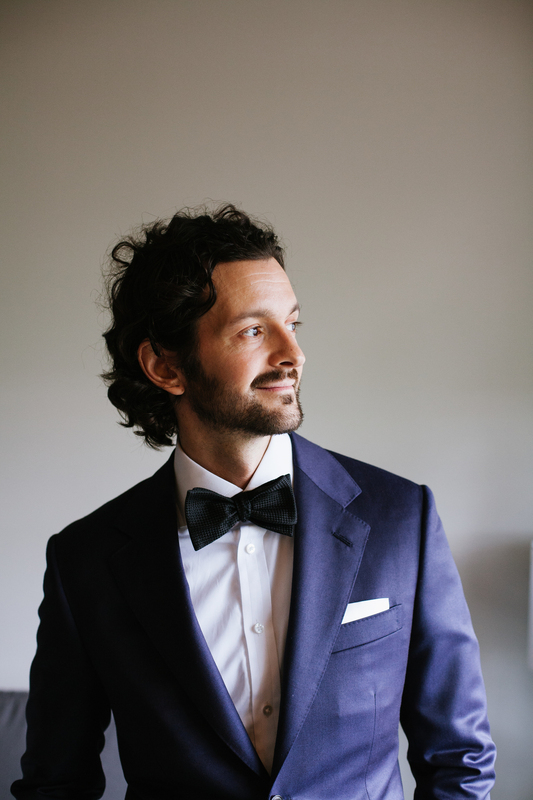 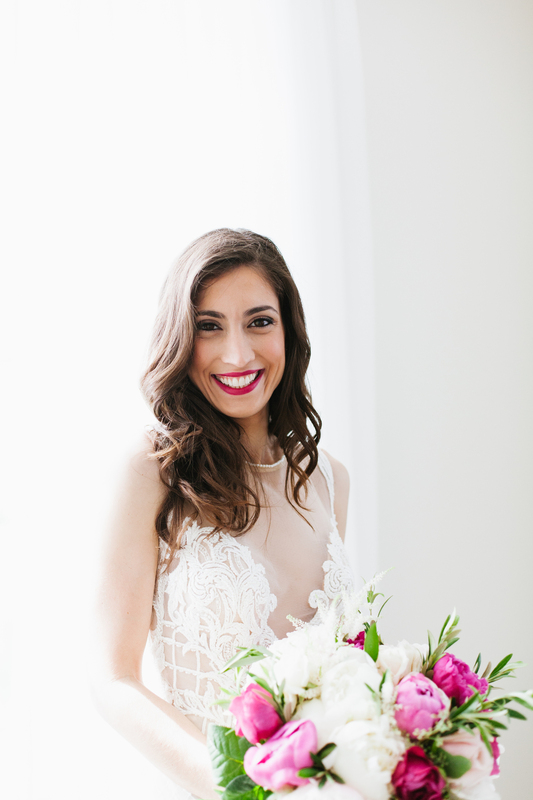 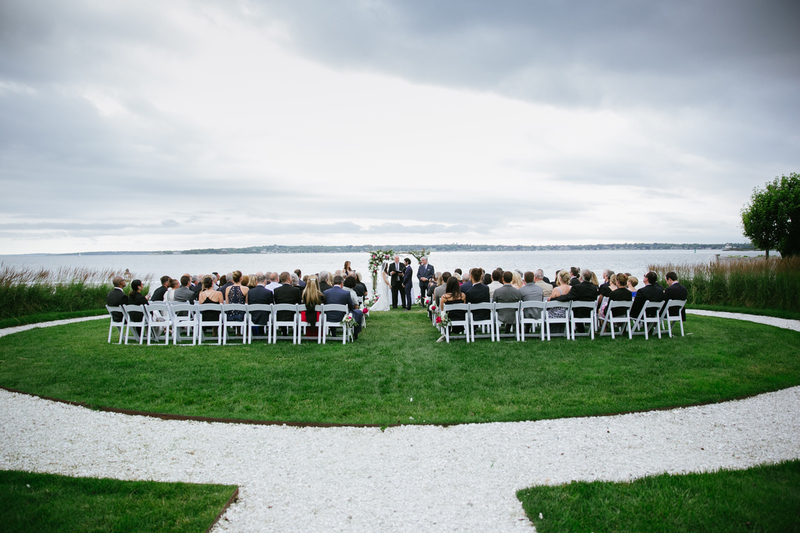 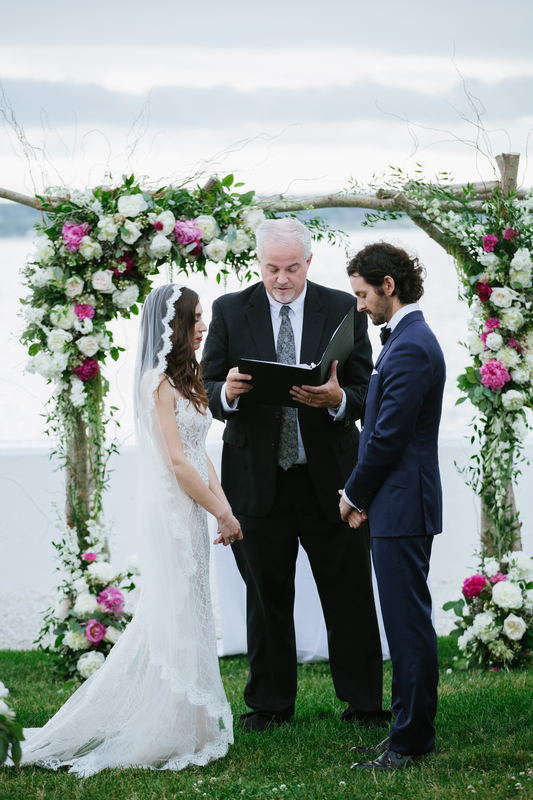 Their ceremony took place outside overlooking the beautiful bay of Narragansett and we are smitten with both their stylish outfits and their wonderful portraits captured by Levi Stolove Photography! 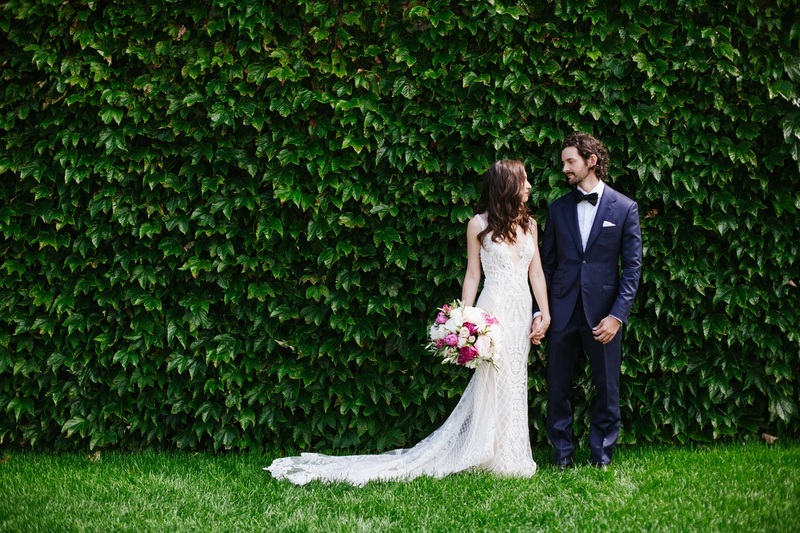 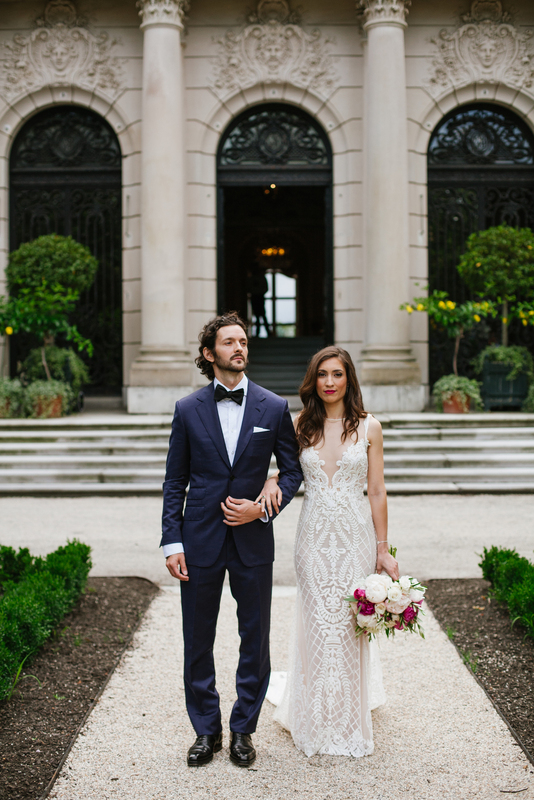 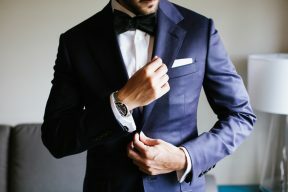 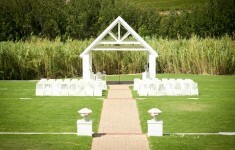 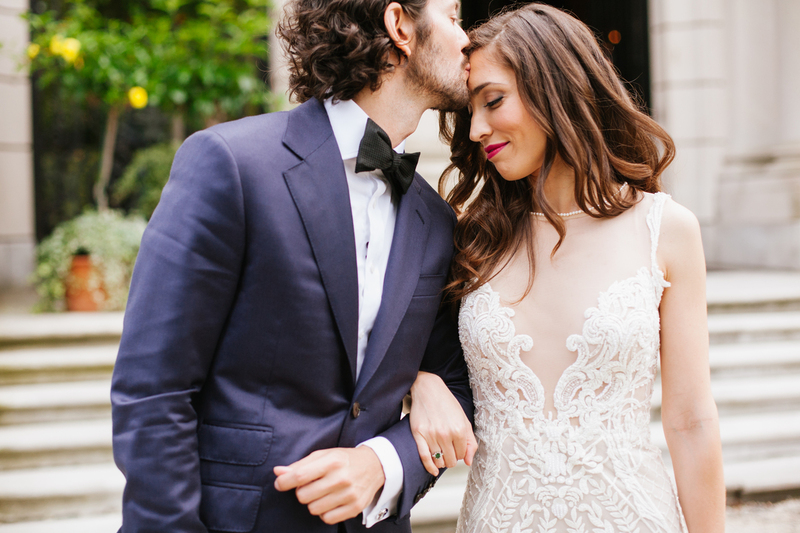 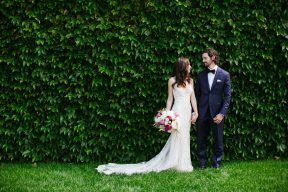 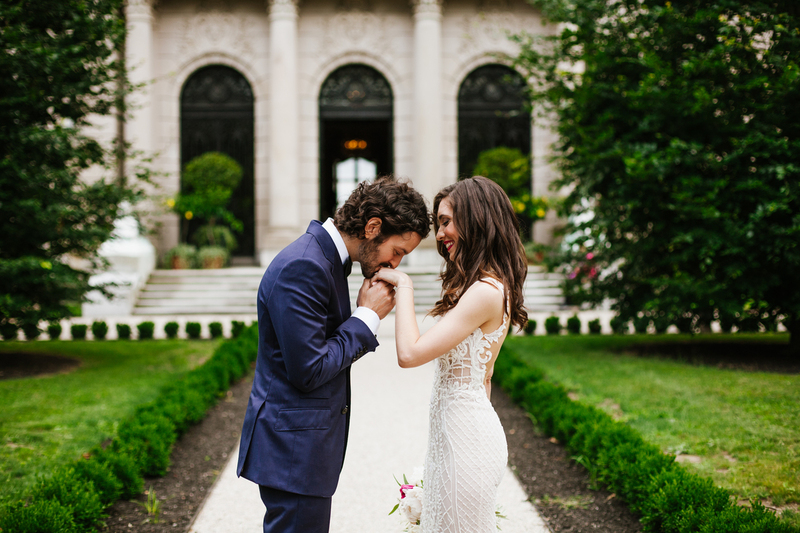 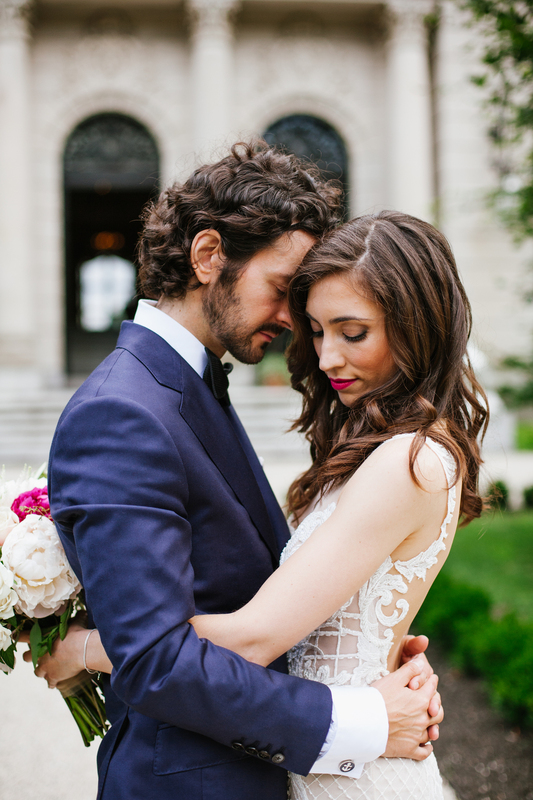 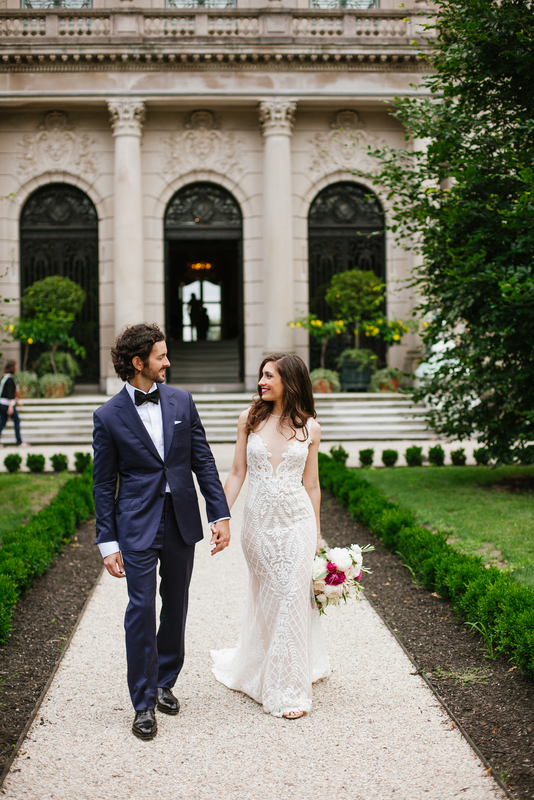 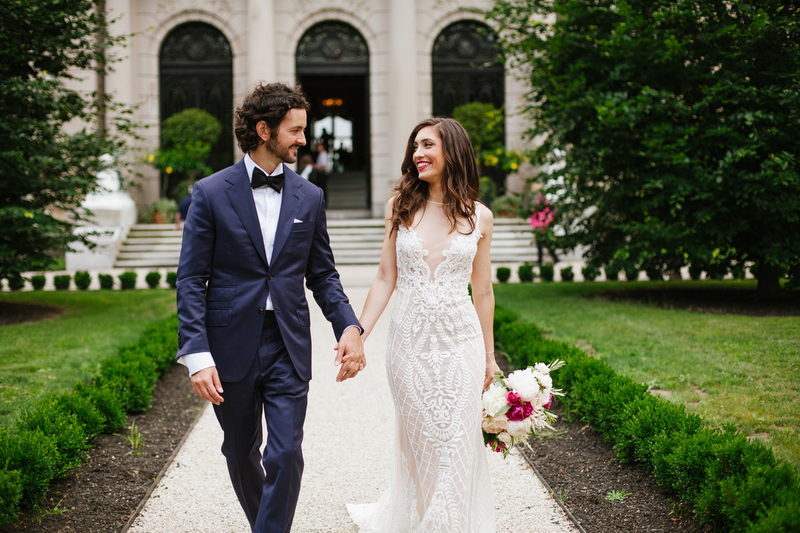 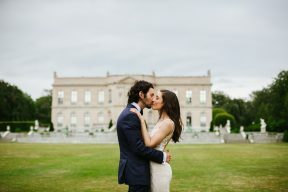 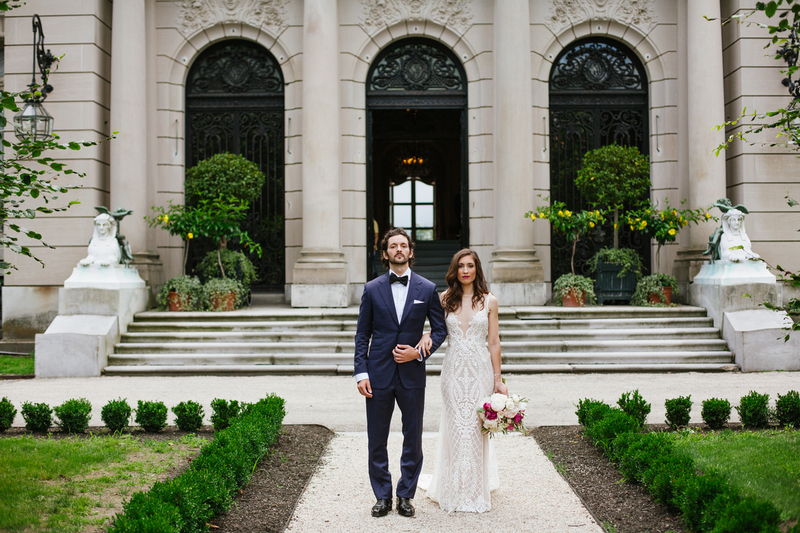 Daniela wore a beautifully detailed gown by Berta Bridal and Evan wore a sophisticated Navy Suit with a dapper bowtie! 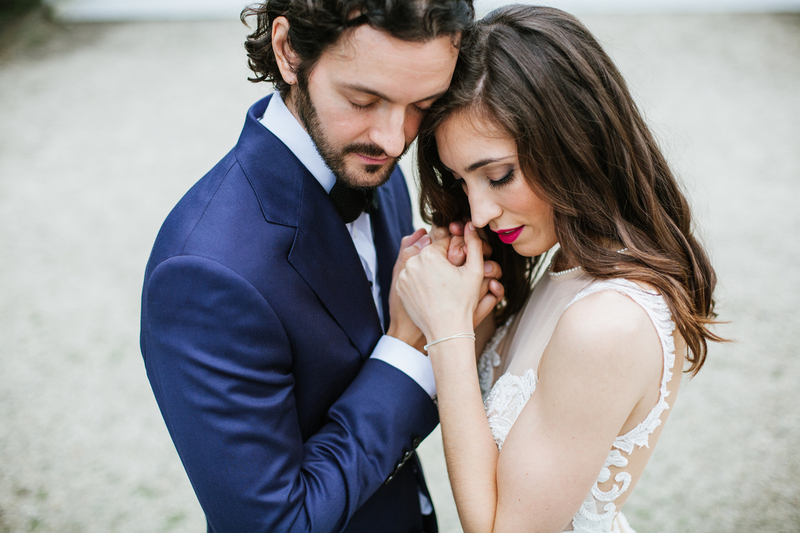 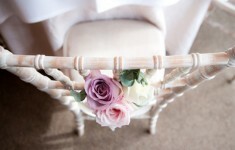 You can also see the wonderful video of the day by NST Pictures – here.